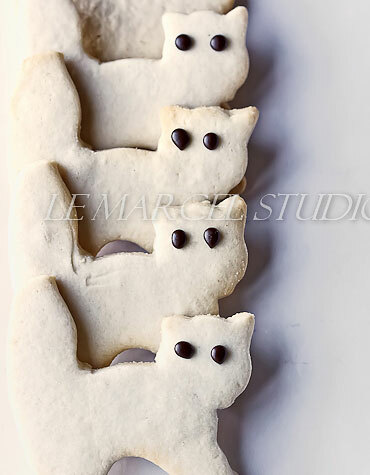 We can't resist offering up these soft, vanilla honey kitties to our canine customers. You can look at it one of two ways: they love the kitties, so why not give them a treat in honor of one of their favorite playmates? OR for obvious reasons, it's cathartic (hopefully). We can’t resist offering up these soft, vanilla honey kitties to our canine customers. You can look at it one of two ways: they love the kitties, so why not give them a treat in honor of one of their favorite playmates? OR for obvious reasons, it’s cathartic (hopefully). On Saturday and Sunday no delivery available only store pick up available. If your request cannot be completed for the product chosen, we will contact you directly. Please understand that if this is the case, your order WILL NOT be processed and shipped until we speak to you. If you have questions or concerns about this process, please call The Bakery directly at 415-440-2498. Sign up for our Good Dog Club and receive $5 for every $50 spent online and in-store. Use them as they are awarded or save them up.